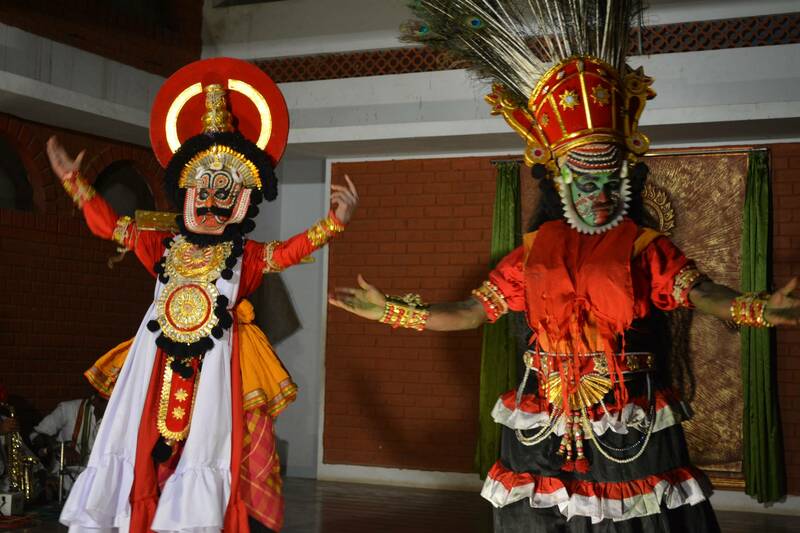 Karnataka Kala Darshini [R], Bangalore. 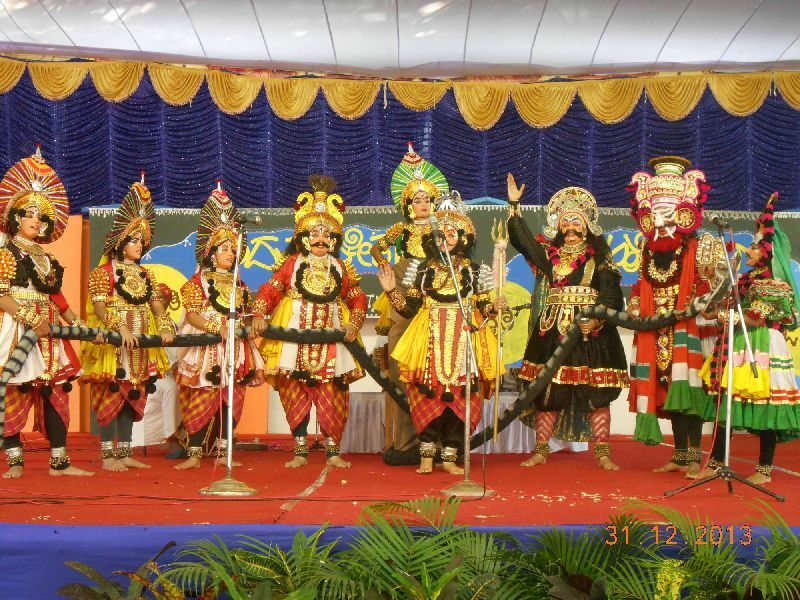 Karnataka Kala Darshini is a troupe totally engaged in the growth and development of Yakshagana. The organisation is a registered trust. Under the aegis of Sri Srinivas Sasthan the growth and development has been phenomenal. 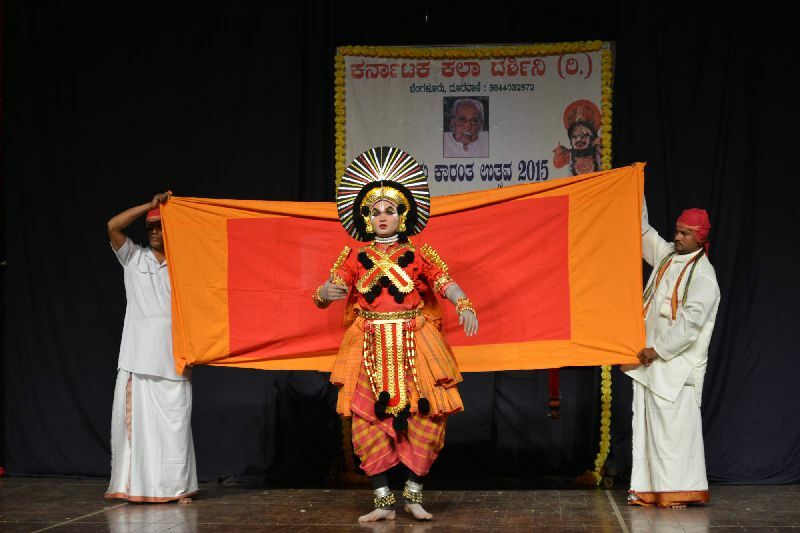 Karnataka Kala Darshini's artists have staged performances on the request of Indian Council for Cultural Relations and State Women's Development Corporation, apart from performing at the residences of the President, Vice President, Prime Minisiter, Defence Minister, and Tribal Development Minister of India. 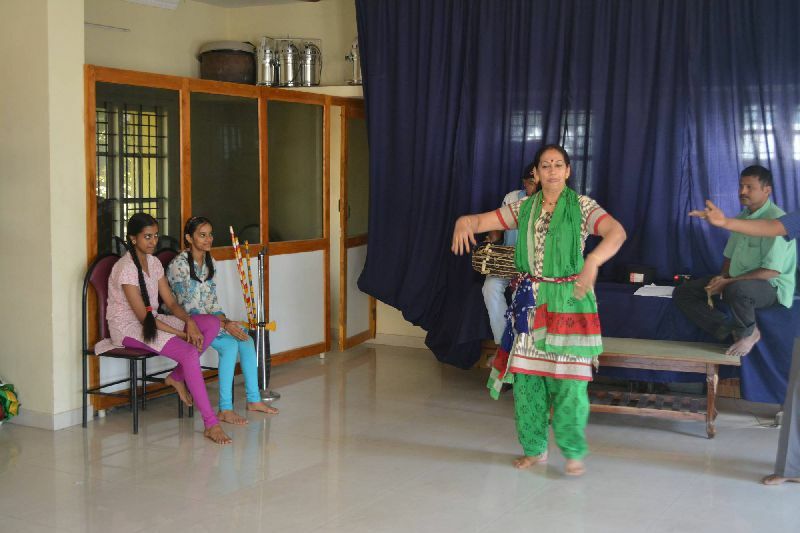 Karnataka Kala Darshini conducts classes for enthusiastic persons who are interested in learning and propogating this rare art form. 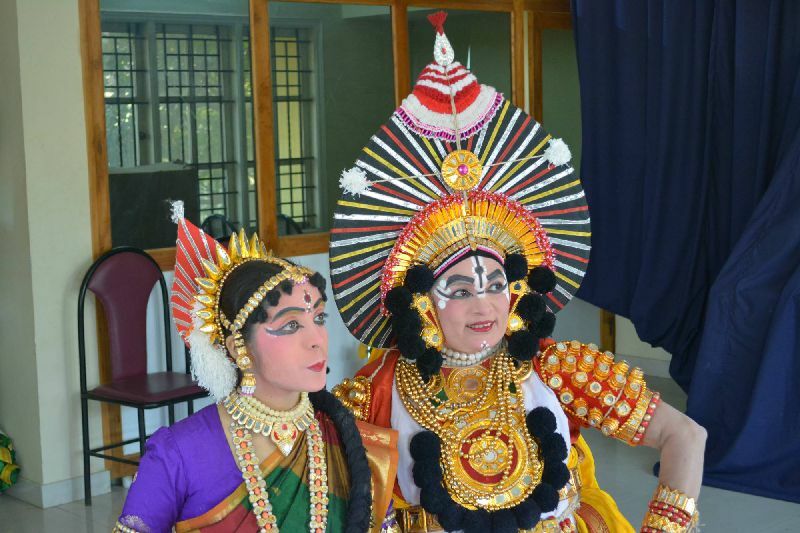 Workshops for children on abhinaya, makeup and costumes are conducted periodically to develop interest and appreciation for this art among the younger generation of society. Yakshagana "Sri Devi Mahatme" performance by Karnataka Kala Darshini artists. 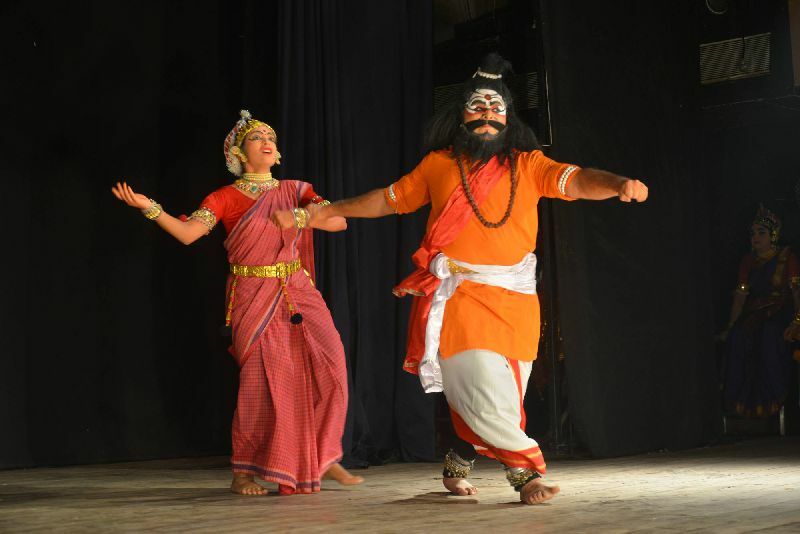 Fusion performance of different dance form of artists episode "Ram Leela" at Ancient Art Festival 2014 at Delhi. 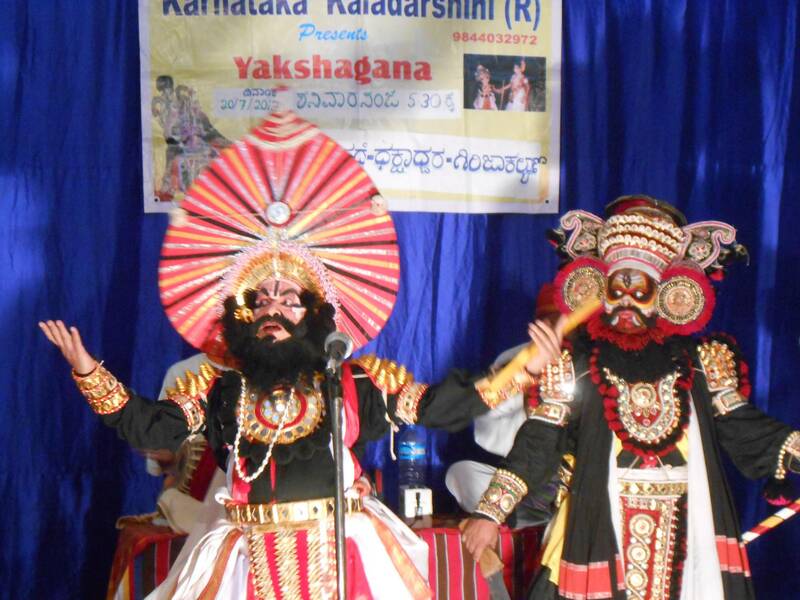 Yakshagana by Karnataka Kala Darshini. By KKD Studios posted July 30, 2013.
" 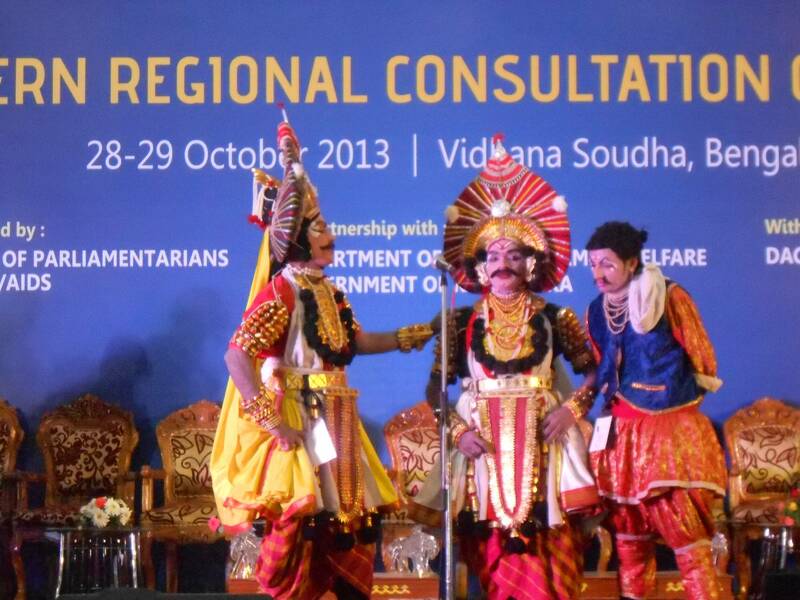 Unity Diversity ", yakshagana performance by our Karnataka Kala Darshini artists. Organised by Govt. of Karnataka. To help the growth and development of Yakshagana, training is given to interested children, women and men. This Gurukula has expert teachers who impart training in Dance ( Nruthya ), Song ( Bhagavathike ), playing instruments like the 'Maddale ( Mrudanga ), Chende, Acting ( Natana ) with varied expressions and mudras and in dialogue delivery ( Artha ). 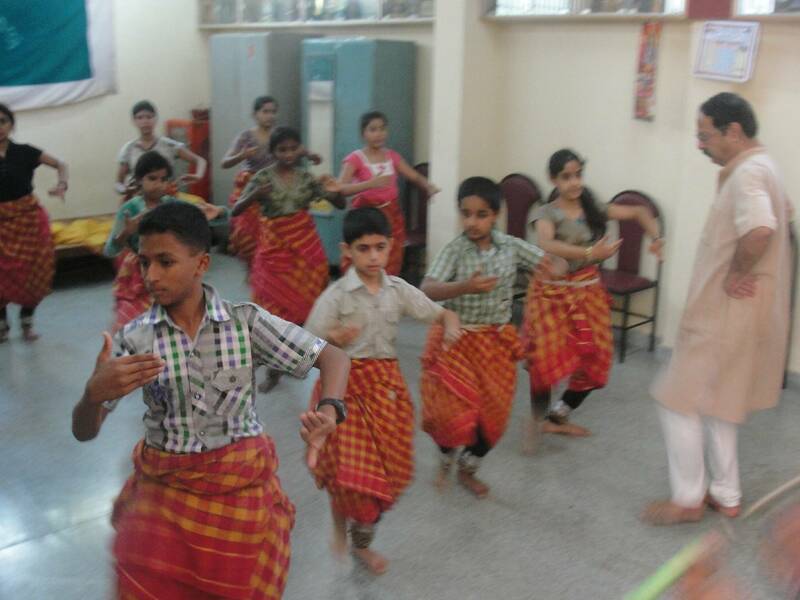 This dance school is managed by Sri. 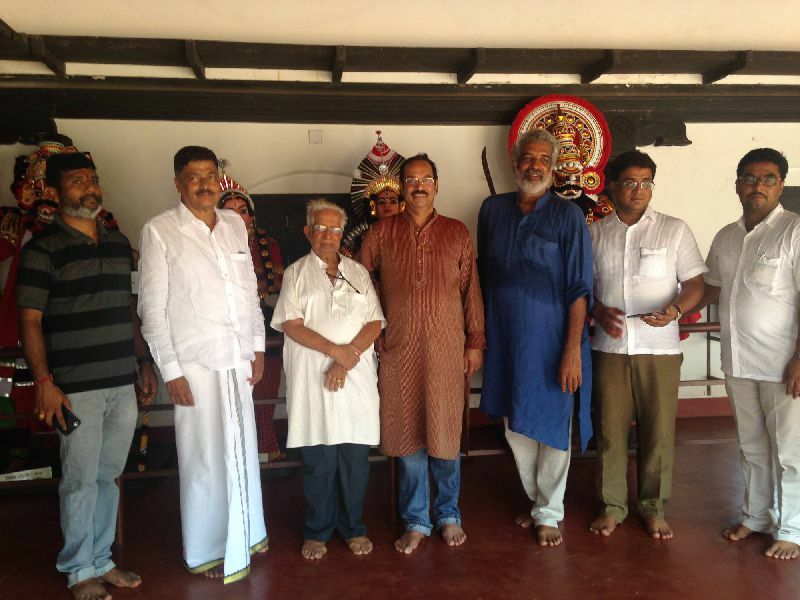 Srinivas Sasthan, a famous Actor, Director and Choreographer, under the guidance of eminent personalities in the field like Dr. Kabbinale Vasanth Bharadwaj, Sri Krishnamoorthy Kavatar, State awardee Shri. Heranjal Venkataramana. 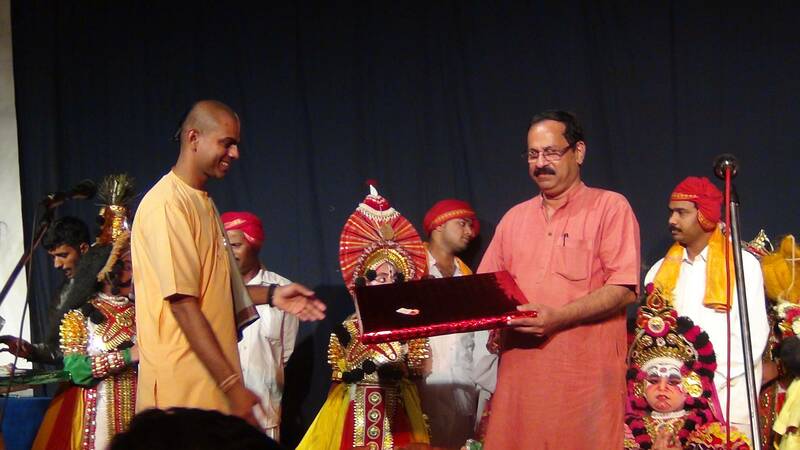 The faculty consists of able teachers and others who are specialized in the respective areas of this dance form.Apart from regular classes we are conducting classes in Schools and Colleges, camps in ISKCON and other interested organizations. 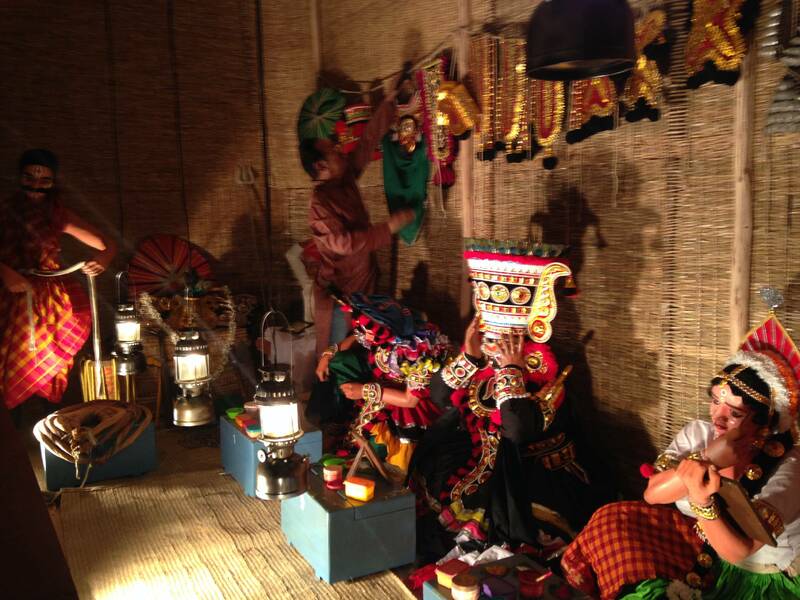 Yakshagana is one of the most fascinating folk art of Karnataka. It is a unique and rare blend of powerful music and vigorous dance, marked by vivacious foot work. Choreographic group movements coupled with colourful costumes and elaborate makeup creates an ethereal world on stage. 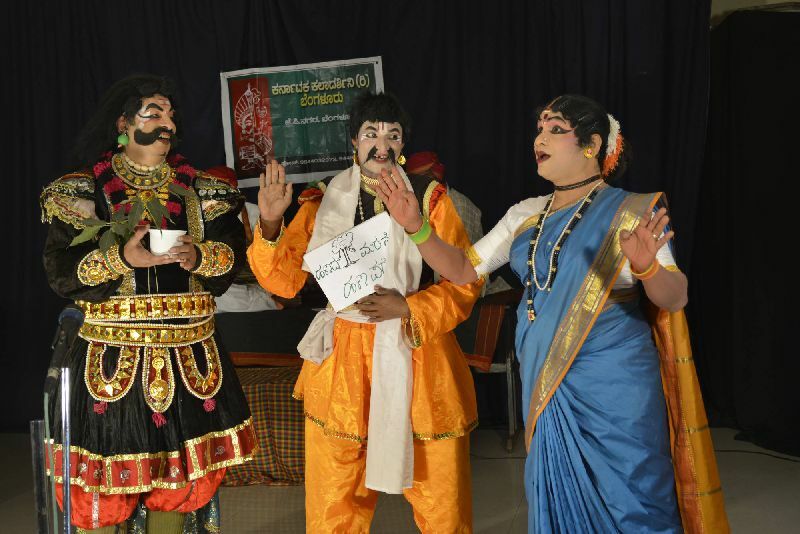 Stylized extempore dialogues with folk and literary charm bring out the subtle naunces of the local language, Kannada. 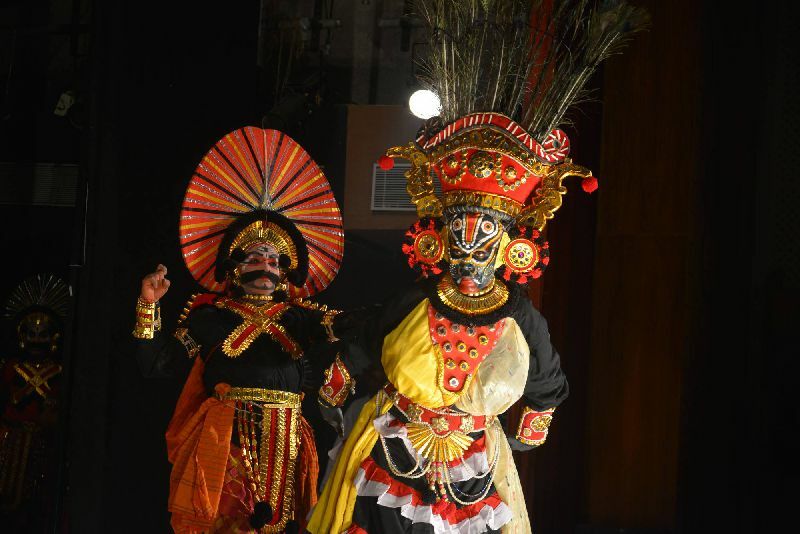 Yakshagana has many common features with other Indian rural theater arts like Veethinatakam, Kuchipudi, Terukoothu, Tamasha, etc. It has the feature of classical discipline coupled with folk liberty. 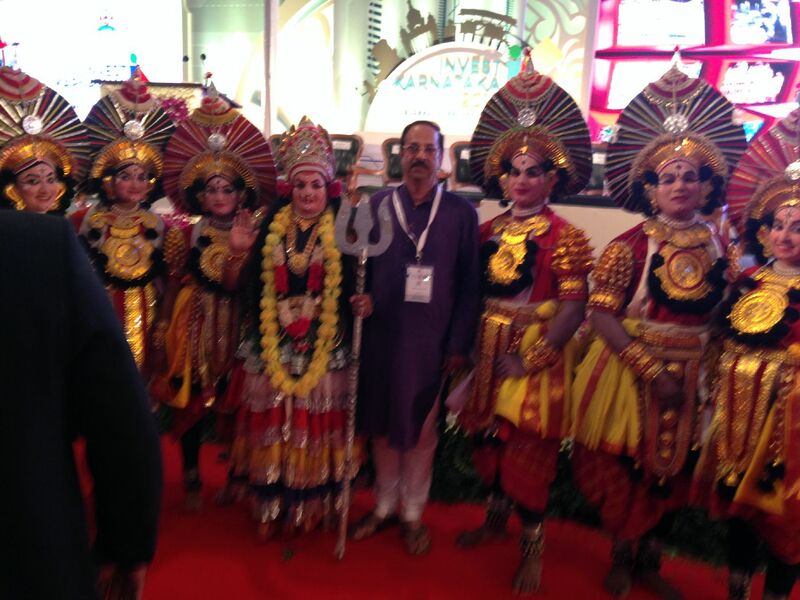 The themes are largely based on Hindu epics like 'Ramayana, Mahabharata and tales from the Puranas. 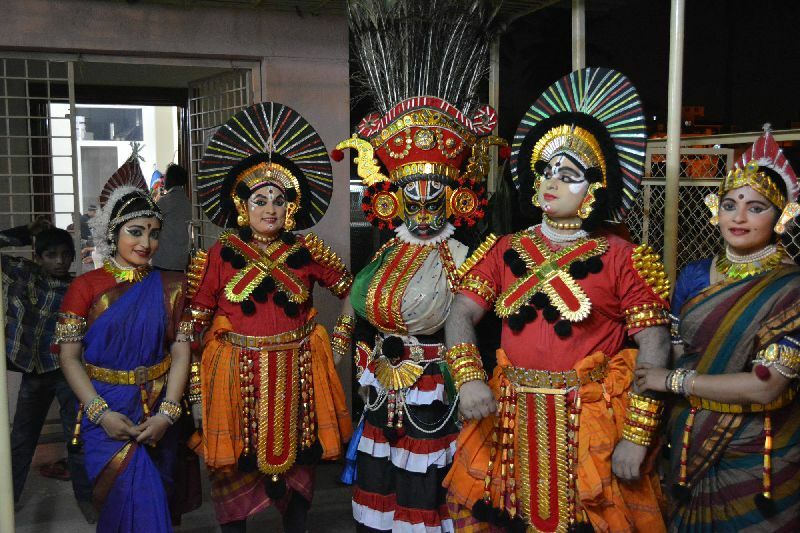 The makeup of Yakshagana artistes is rich and differs with the character and is closely related to the ornamentation found in the scriptures. 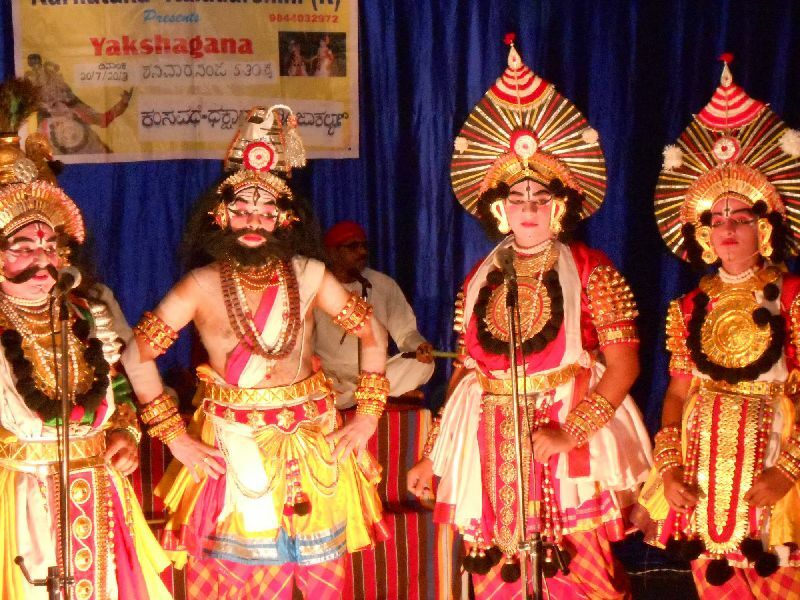 The origin of Yakshagana dates back to the 11th century during the time when the Vaishnava Bhakthi movement was taking roots. 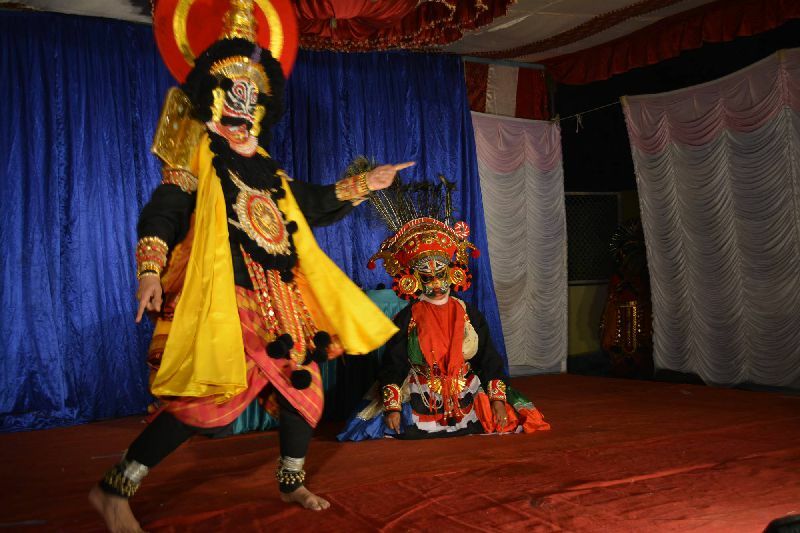 The legend goes to show that in 13th century Sage NarahariThirtha started Dashavathara performance in Udupi and later this spread to other places to grow into what we call 'Yakshagana' today. 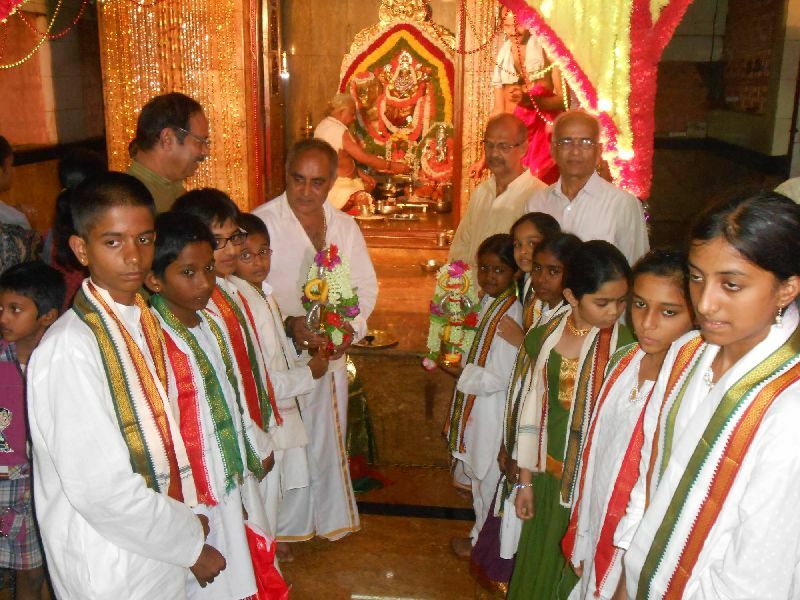 Karnataka Kala Darshini Gurukula gives admissions for kids as young as five years up to the age of fourteen under the children's category. 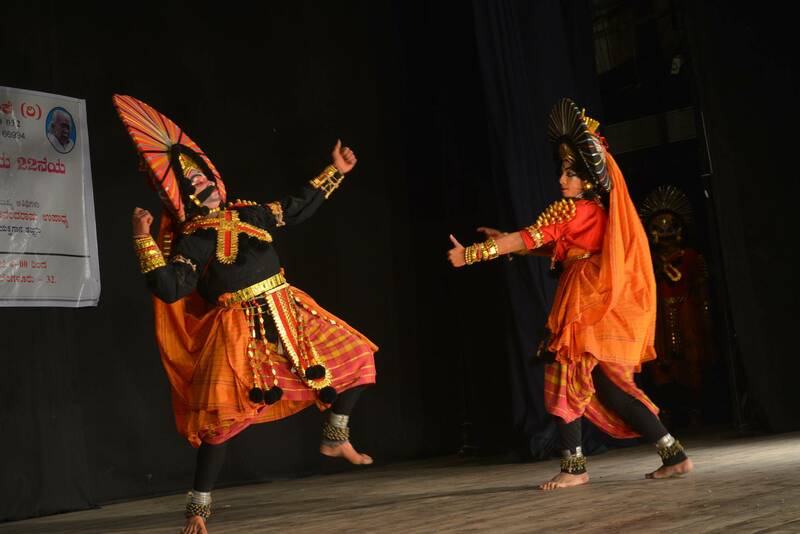 Children have enthusiastically taken to this art and have mastered it well and this troupe has given performances in several places all over the country. 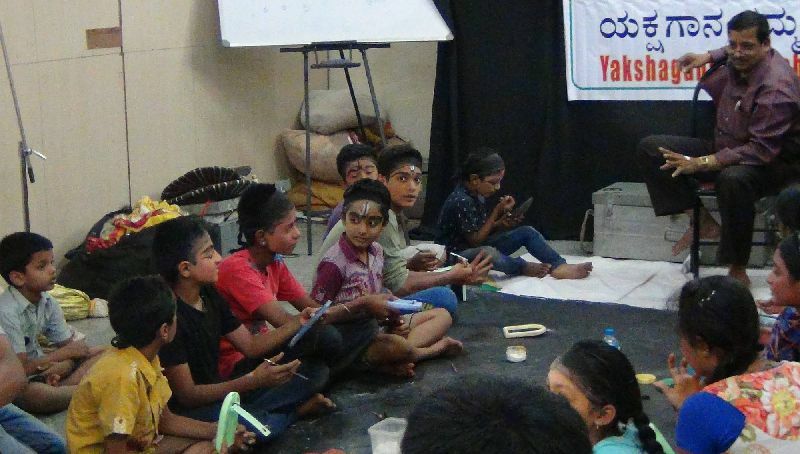 It wouldn't be an understatement to say that children have proved to be the best and quickest learners and wonderful performers of Yakshagana. Yakshagana has largely been a male-dominated art, wherein even female characters are played by men. 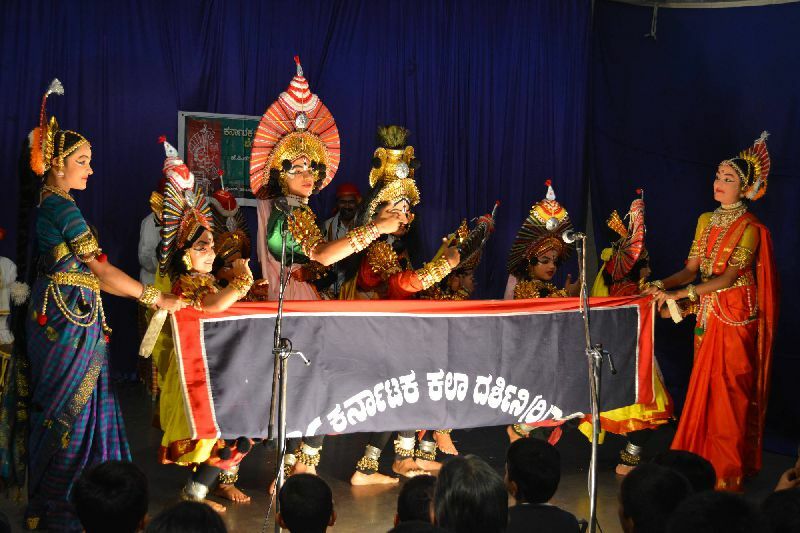 The All Women's Troupe of Karnataka Kala Darshini has demonstrated that the equations can be reversed. 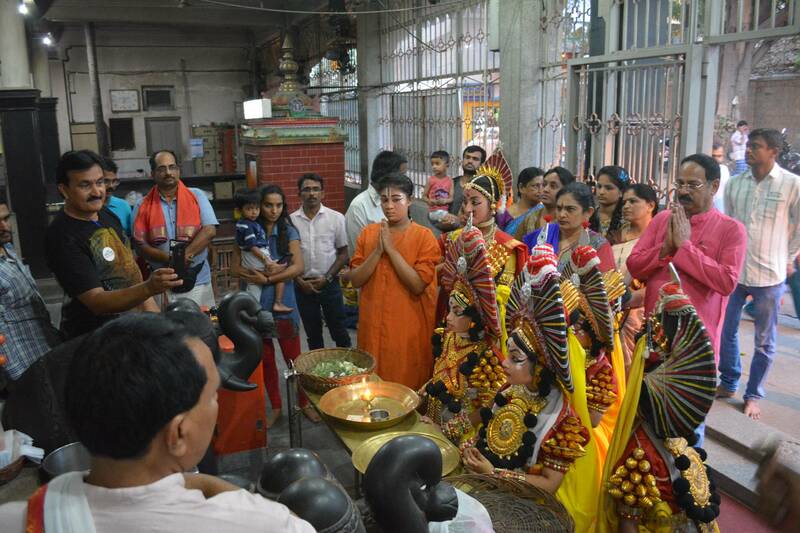 Characters like 'Dushasana, Drona, Bhishma, Kamsa and Bhima are performed by women, who have brought out the essence of these characters in full grandeur. 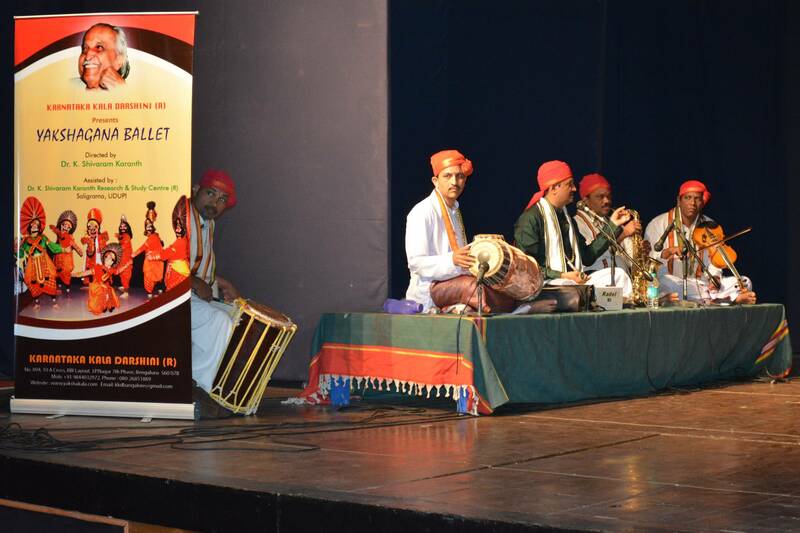 The team has performed not only in Karnataka but also in Delhi, Thanjavur, Nagpur, etc apart from presenting several programs in Dooradarshan and All India Radio. 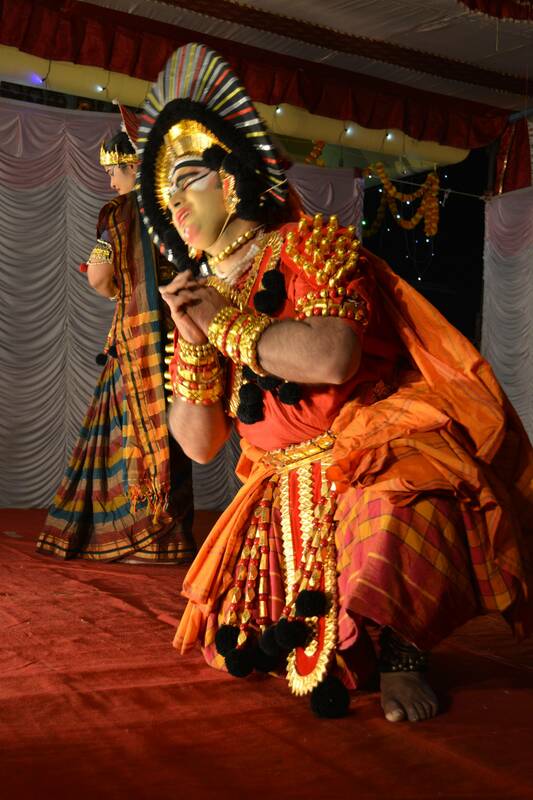 They have participated in Yakshagana serials on Udaya TV and ETV Kannada. Headed by Gowri, the team consists of several enthusiastic ladies also young high school and college girls. 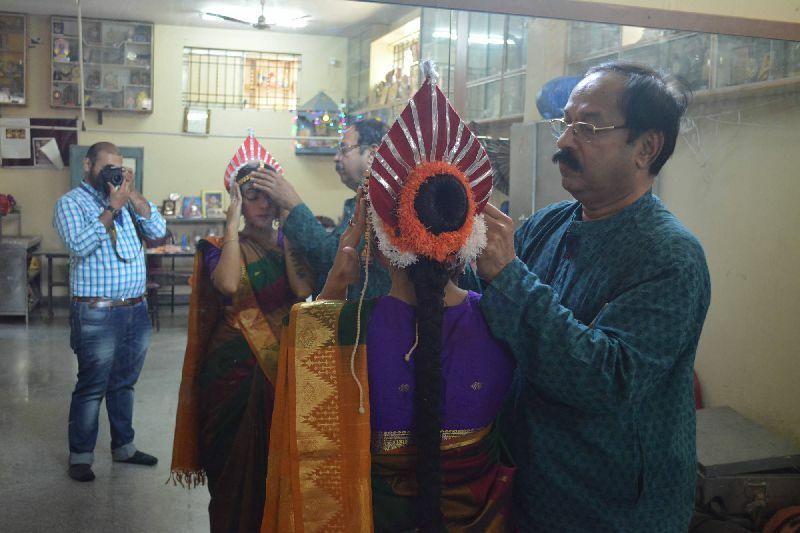 Karnataka Kala Darshini is putting its effort to safeguard this ancient art from neglect and decay by way of retaining the traditional aspects. 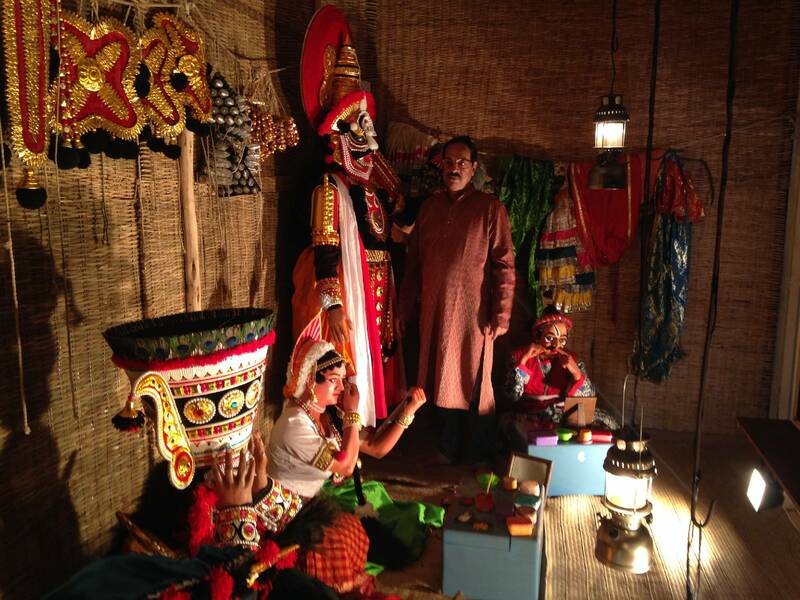 Constant interaction with traditional artistes has helped in this effort. Documentation is being done on various areas of this art, in order to help future referencing and for posterity and future generations. 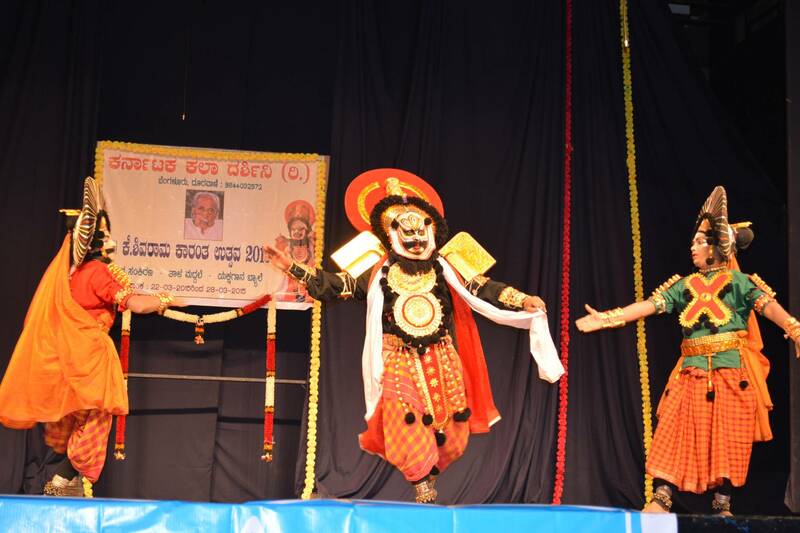 Efforts have been taken to safeguard different modules in Yakshagana like JODATA, HOOVINAKOLU, CHIKKAMELA, and THALAMADDALE by arranging shows, seminars and printing brochures. Karnataka Kala Darshini Trust, Bengaluru, in association with the Kota Shivaram Karanth Research and Study Centre, Saligrama, organise Yakshagana ballet. 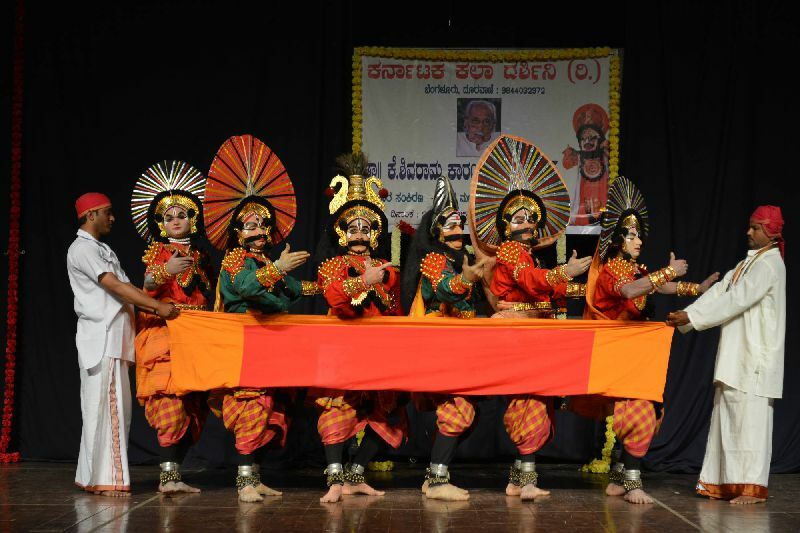 Yakshagana ballet was the brainchild of the Jnanpith awardee late Kota Shivaram Karanth, who had rich knowledge in Yakshagana. 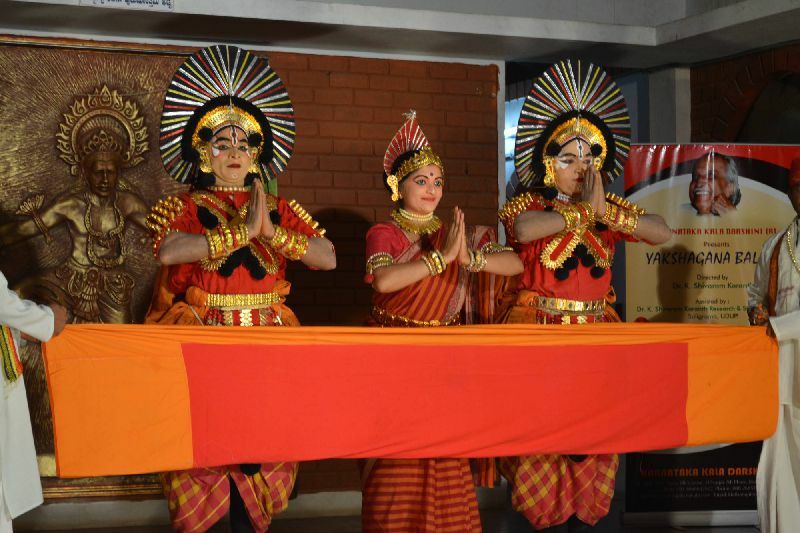 In order to reach non-Kannadigas and foreigners, he reduced the time duration and brought in changes in certain elements of Yakshagana and started the Yakshagana ballet. The duration of the episodes which would be staged is 140 minutes. 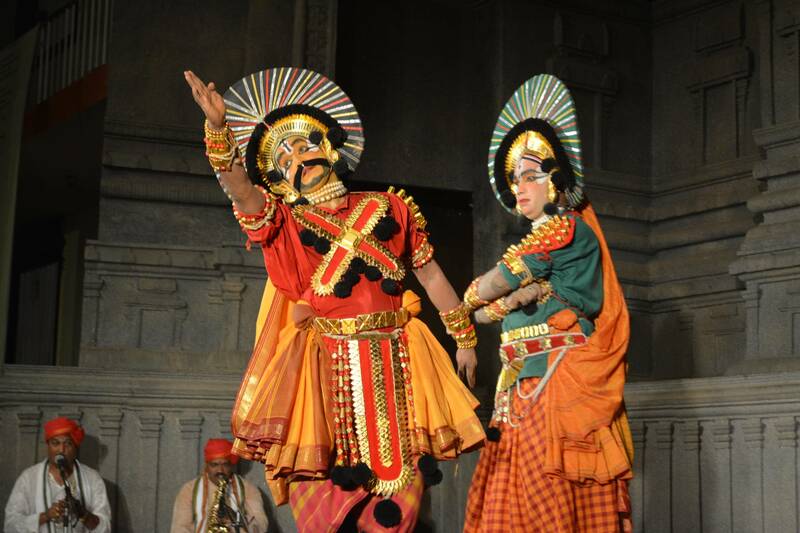 In the ballet, Karanth replaced oration, improved acting and dance, and included violin and saxophone with Yakshagana music to make it more powerful and melodious. 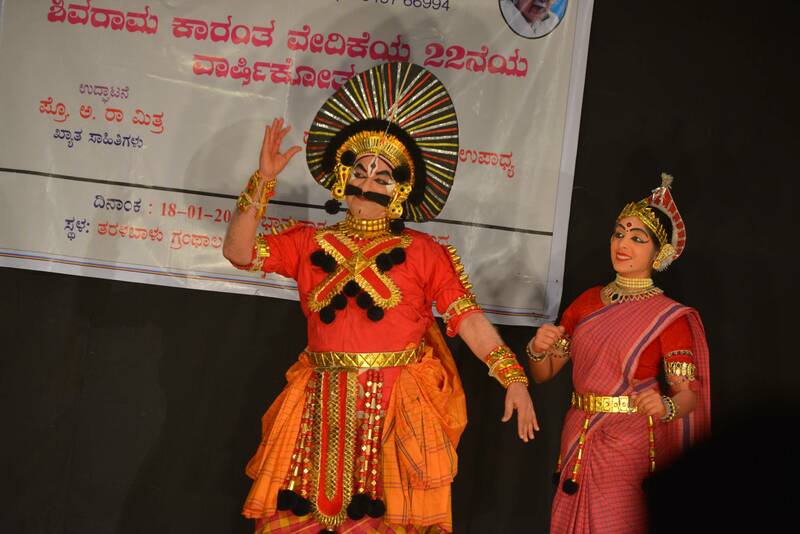 Karanth had directed many mythological episodes in Yakshagana ballets such as “Abhimanyu Vadhe,” “Panchavati,” “Nalacharitre,” “Kanakangi Kalyana,” “Dhurva Charitre,” “Bheeshma Vijaya” and others. 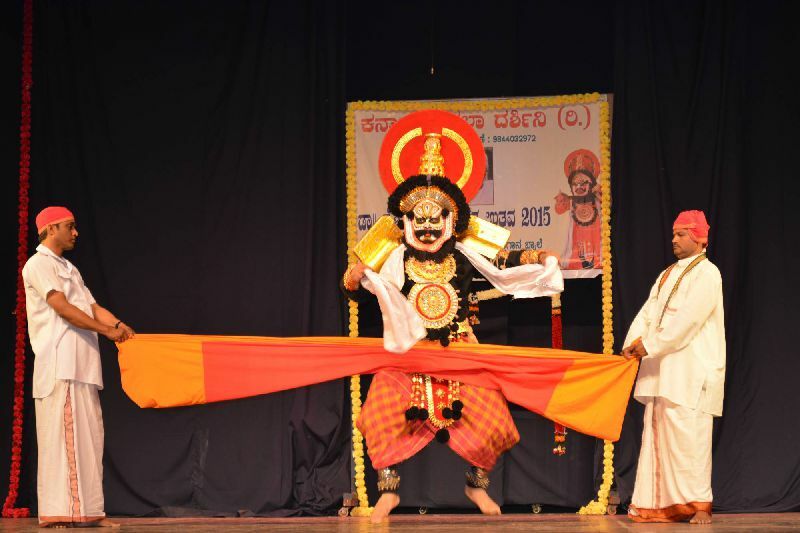 After Karanth passed away in 1997, there was no one to propagate the Yakshagana ballet. 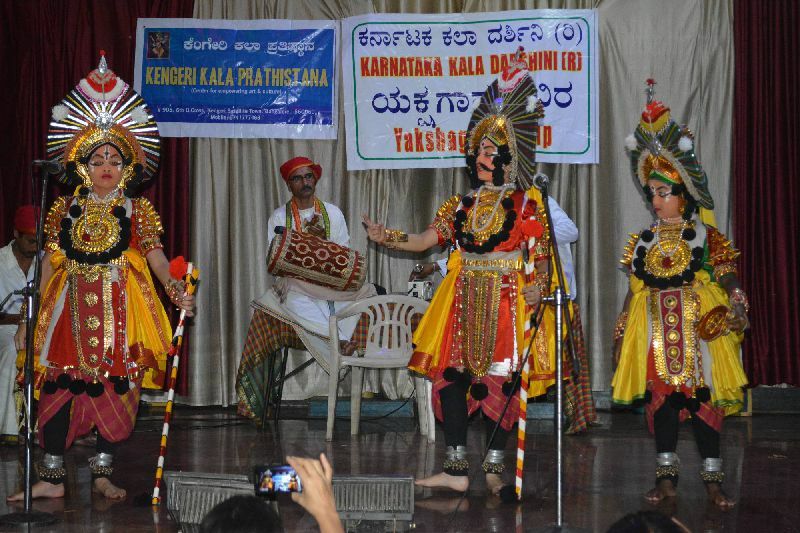 After a gap of about 15 years, the Karantaka Kala Darshini troupe along with the Kota Shivaram Karanth Research and Study Centre had decided to popularize it again by staging the Yakshagana ballets in different places including Bengaluru, Mangalore, Udupi and Mysuru but also in across USA. Thanks for filling contact form! You can call 98440 32972 . RBI layout, JP Nagar 7th Phase, Bangalore. + 91 - 98440 32972. + 91 - 94485 03817. Copyright (c) 2016. Designed & Develop by Gowtham. KKD Studios.